My pal Peter is an avid WoodenBoat reader. I mean from cover to cover. 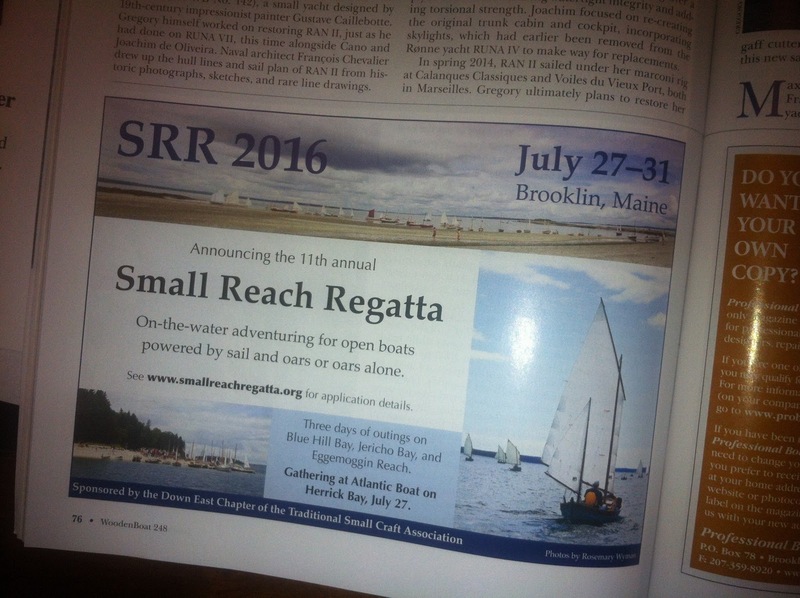 He pointed out an ad in this month’s issue for 2016’s Small Reach Regatta held each year in Maine. 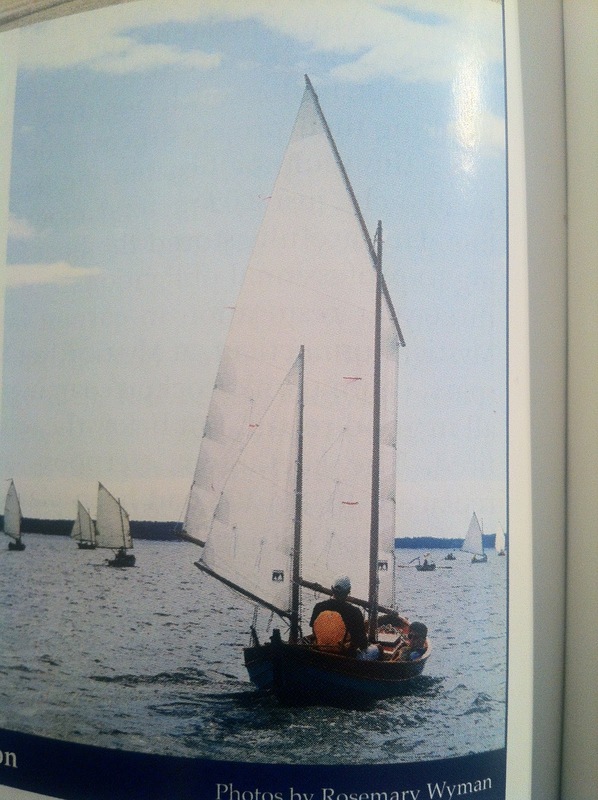 A boat featured there on page 76 is a sweetie. It’s UNA, I believe on our first day.We started near last, sailed through the fleet and back and still got to the destination first. Maybe we were the only ones considering it a race. Anyway, I’m glad to see we had proper sail trim. Telltales are streaming aft. Pretty cool. I was told by WB that they would not feature her under their “Launchings” section as she had been in Small Boats Monthly. Well, she snuck in there anyway. Thanks Pogo!